Do I need to stud my winter tires? When the temperatures drop, winter tires have better traction on snowy and icy roads than all-season tires, thanks to special tread compounds that stay flexible and grippy even in very cold weather. In some cases, grip and traction can be improved even more with studded tires. These tires feature metal studs that dig into snow or ice, and may improve acceleration and braking in these conditions. Metal studs should only be installed in new tires that are molded for studs. And like all winter tires, studded tires should be used on all four wheels of a vehicle. So which is better, studded tires or winter tires? It depends. According to Pemco Insurance, studies show that studded tires perform best on clear ice in temperatures around the freezing mark, while winter tires deliver the best handling and braking when the temperature is below freezing, on both wet and dry pavement. If you think you’d like to try out a set of studded tires, there are a few other things to take into consideration, number one being where you live. Metals studs are prohibited in 11 states — Alabama, Florida, Hawaii, Illinois, Louisiana, Maryland, Michigan, Minnesota, Mississippi, Texas, and Wisconsin (some of these states allow tires with rubber studs; Maryland allows studs only in certain counties). Only six states permit the use of studded tires without restriction: Colorado, Kentucky, New Hampshire, New Mexico, Vermont, and Wyoming. Most of the remaining states allow studded tires with date restrictions. In Ohio State studded tires are permitted from November 1 – April 15. If you decide to use studded tires, be sure to follow your state’s law or risk paying a hefty fine. See the chart below for detailed studded tire laws for each state. The second thing you need to know about studded tires is that they’re very hard on roads. The Washington State Department of Transportation claims that studded tires wear down pavement at a much higher rate than normal tires. Studded tires also cause rutting of roads, especially interstate highways, which can lead to safety problems like excessive spray, hydroplaning, and other steering problems. And there’s another potential safety issue – on roads that are simply wet and not icy or snow-covered, studded tires have been proven to have reduced stopping ability when compared to standard tires. Snow tires can also be noisy, due to the metal studs making contact with the road. So, to stud or not to stud comes down to a very personal decision based on where you live, where you’ll be driving, and what kind of weather you expect to encounter. Part two of are series on one of the most important parts of your vehicle starts with your tires! The purpose of the tire pressure monitoring system (TPMS) in your vehicle is to warn you that at least one or more tires are significantly under-inflated, possibly creating unsafe driving conditions. The TPMS low tire pressure indicator is a yellow symbol that illuminates on the dashboard instrument panel in the shape of a tire cross-section (that resembles a horseshoe) with an exclamation point. That indicator light in your vehicle has a history. It’s a history rooted in years of uncertainty about proper tire pressure and many serious car accidents that might have been avoided had drivers known their air pressure was low. Even now, it’s estimated that a substantial number of vehicles hit the road each day with underinflated tires. 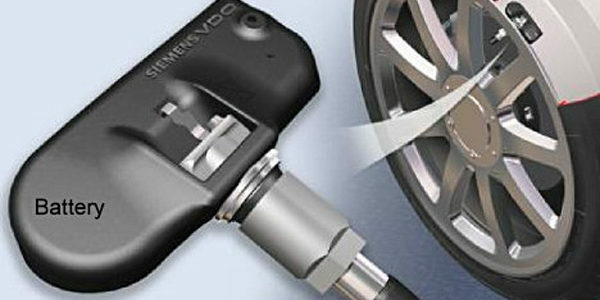 However, proper tire maintenance with the aid of a TPMS can and does help prevent many serious accidents. Before this indicator light became commonplace, knowing whether your air pressure had reached unsafe levels meant getting out, crouching down, and using a tire gauge. With few exceptions, this was the only pressure-checking tool ordinary consumers had at their disposal. Then, in response to a surge in accidents due to underinflated tires, the US government passed the Transportation Recall Enhancement, Accountability, and Documentation (TREAD) Act. One of the outcomes of this legislation is that most vehicles sold in the United States since 2007 include a tire pressure monitoring system of some kind. 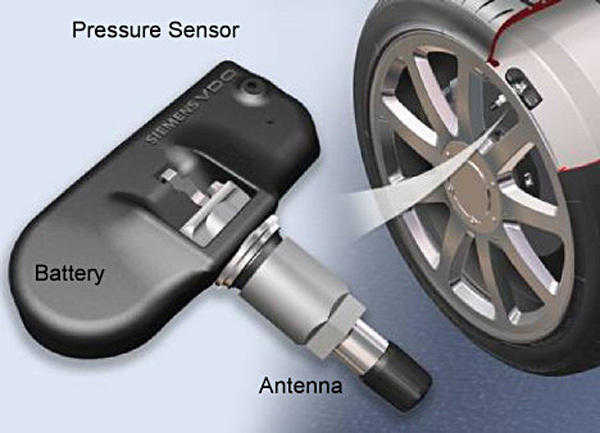 Not every TPMS works the same way. The illumination of the low tire pressure indicator represents the final step in the process of either an indirect TPMS or a direct TPMS. What a bad tie rod looks like! The job of keeping your wheels and tires driving straight down the road is completed by several components in the suspension system. Whether you have a truck, SUV, or commuter car, they all have tie rod ends that attach to the wheel housing and ensure your vehicle has a smooth and efficient ride every day. However, this component is subject to extreme wear and tear due to the fact that it’s used every time the vehicle is in motion. When it wear out or fails, you’ll notice a few warning signs that should be inspected by a certified mechanic and replaced if needed. As the name implies, the tie rod end is attached at the tip of the tie rod and connects the wheels of the vehicle with the steering and suspension components that permit the vehicle to steer. When the tie rod end begins to wear out, it’s usually due to impact, constant use on bumpy roads or simple age. 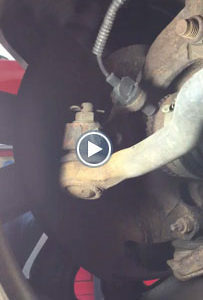 Frequently, the part that wears out in the tie rod end is actually the bushing. However, it’s advised that you replace the tie rod end completely as metal fatigue can also cause the part to fail. If you have the tie rod ends replaced, it’s critical that you remind the mechanic to complete a front end alignment, which will set your wheels to point straight. Like any other mechanical part, a worn out tie rod end will display a few warning signs or indicators that the part is failing and needs to be replaced. Listed below are a few of these symptoms. If you notice any of these, please contact a mechanic as soon as possible so they may properly diagnose the problem and take corrective action to replace what might be broken.